Retailing online renders one of the established mantras of the fixed location retailer 'location location location' redundant. So how are the new e-retailers establishing and maintaining a competitive position in the Internet's marketspace? 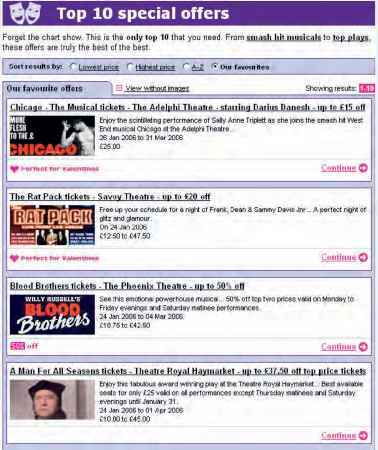 lastminute.com was an early leader with its development of a web site which operated as an online travel agent and retailer (see Figure 10.9). The company founded by Martha Lane Fox and Brent Hoberman in 1998 has recently been acquired by Travelocity and Sabre Holdings. The valuation achieved by the company at its float was seen by many at best as very unrealistic - its paper value exceeded the value of longstanding established travel agents like Thomas Cook Plc. Many dismissed last-minute.com's valuation as being an indicator of the absurdity of the dot-com phenomenon and dismissed excessive investment as irrational. One of the problems with most of the commentary about lastminute.com in particular and e-commerce in general was that it focused too much on the front-end business idea behind the models and too little on the model's place within its sector (Panourgias, 2003). Over time the company has proved to be an established online brand. Sales and marketing lastminute.com built its market share by focusing on making innovative use of Internet technologies to deliver services to the end consumer that were close to the end of their shelf-life, i.e. late booking of holidays and hotel rooms. One of the core advantages is that there were few logistical issues to deal with when the purchaser takes themselves to the point of consumption (e.g. visiting the theatre, see Figure 10.10). In this way the company is able to supply both niche and increasingly mass market needs. markets and accommodate the integration of a large number of businesses on the supply side into the group. An additional advantage is that having developed the expertise the team at lastminute.com is able to sell their knowledge to others thereby routing more trade and information through the portal in a similar way to other major online operators. This has become a highly competitive sector and both online players like expedia.com, and laterooms.com, and long-established high-street brands, are competing with lastminute.com for market share. In addition, supply and demand patterns can change quickly as external events in the trading environment have an impact. lastminute.com has become a very well-known and established online brand and has developed the technological know-how which has allowed the company to create significant competitive advantage. Furthermore, it provides its customers with a user-friendly interface, with many interactive and informative features (e.g. virtual hotel tours) that enable the customer to preview a hotel prior to booking. The company has used each of the key dimensions of e-strategy to create a very robust business model, which continues to attract both customer and suppliers. are developed by using different blocks of text, features and promotions so that the e-mail delivers relevant content and offers (e.g. adventure holidays or cultural city breaks in European cities) to a particular type of person. 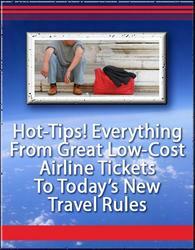 1 The online travel business is growing rapidly and as a result competition is intensifying. Suggest how lastminute.com can maintain and develop its market share in the future. 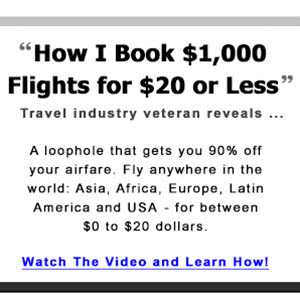 2 Discuss how lastminute.com positions itself against the competition? What is the company's online value proposition? 3 Visit the web site of some of lastminute.com's leading competitors and analyse how much of a threat they pose to the company.